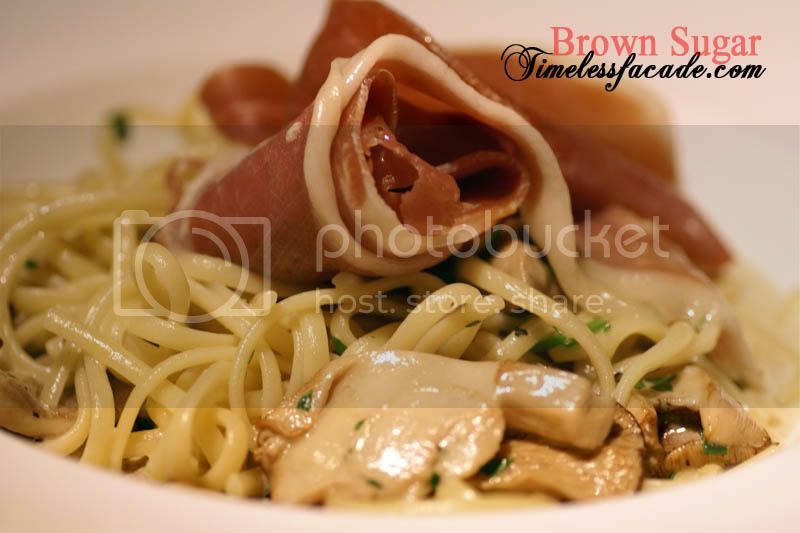 Brown Sugar - A tiny little cafe/bistro that opened up in November 2006 and the brainchild of a former fund manager turned chef, Yuan Oeij. Following in the footsteps of yet another local restaurateur, lawyer turned chef Willin Low of Wild Rocket fame, Oeij was a part time chef for hire before deciding to give up his job to open a restaurant. 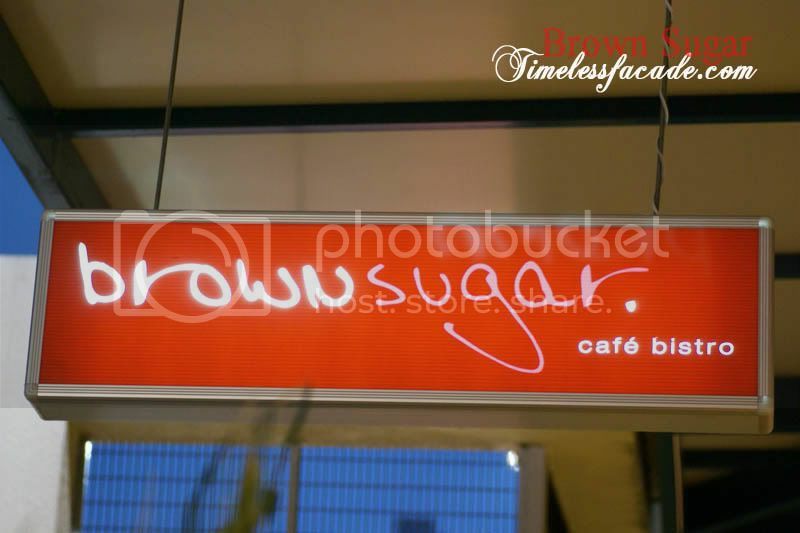 Nestled in a nook just off River Valley Road within the StarDus clubhouse premises, Brown Sugar is a small cafe that can probably seat about 30 pax. 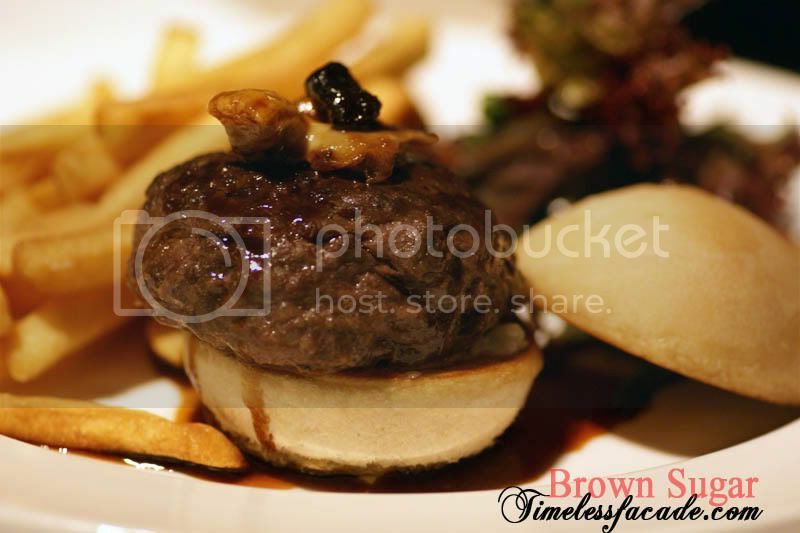 Its limited capacity means that reservations are highly recommended especially for dinners on Fridays and Saturdays. The decor is kept simple yet cosy through the use of ambient lighting. 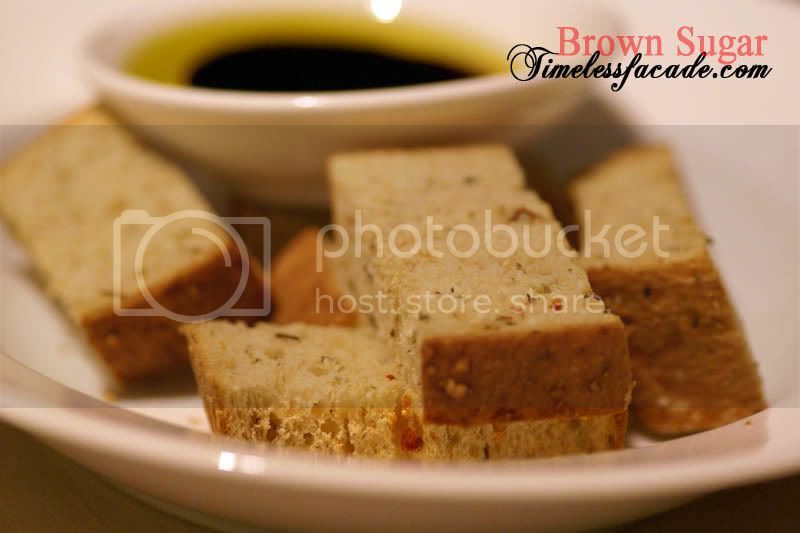 The bread was served warm and interestingly, had a slightly spicy aftertaste. Though crisp, I found it a tad too dry for my liking, which is where the olive oil comes into play. The salad consisted of apple slices, rocket leaves, walnuts and not to forget, cheese, which was cleverly hidden from view between the layers of apple slices. I personally liked this harmonious combination of flavours with the sweetness of the apple complimenting the contrasting flavours of the cheese and the rocket leaves. But its small and its $13. According to the wait staff, the organic mushrooms in this dish are sourced from a local farm which ensures its freshness. True enough, the mushrooms were fresh and plentiful. However, the linguine was a tad too overcooked and the parma ham, though nice, did seem a little too thickly sliced. On the upside, the cream sauce wasn't overwhelming hence you can easily stuff more down without feeling nauseous. 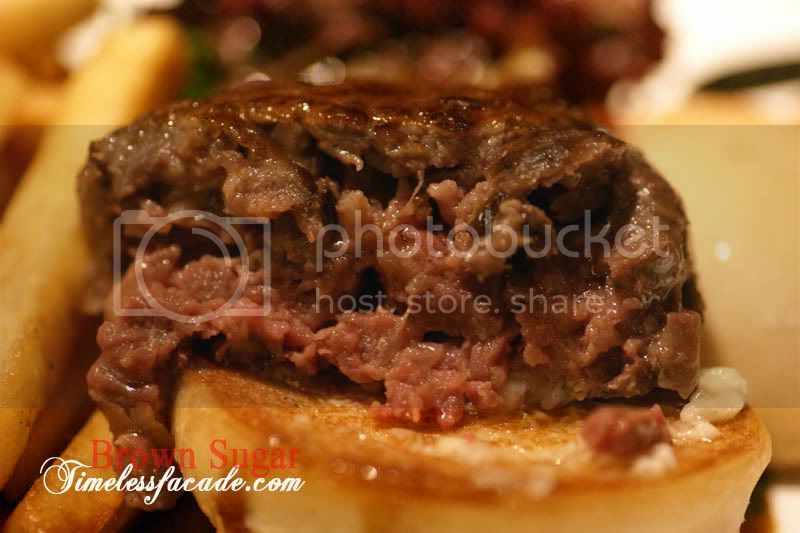 As mentioned in my entry on Iggy's sometime back, its a total waste of good beef if you chop wagyu up and make it into a beef patty. Brown Sugar's rendition wasn't just about to change my view on that. The beef, though evidently hand chopped from the unevenness of the patty, didn't taste much different from other beef patties that I've eaten. It could have been normal beef and I honestly wouldn't be able to tell the difference. Sure, the meat was more tender with more fats but lacked the beefy taste and the texture seemed more more like minced pork than beef. It definitely didn't help that the patty was done medium well instead of medium rare as per my request. All in all a very decent burger but not exactly one to bowl me over. Oh and the fries were a tad dry and overcooked. A rather interesting dessert if I may say. 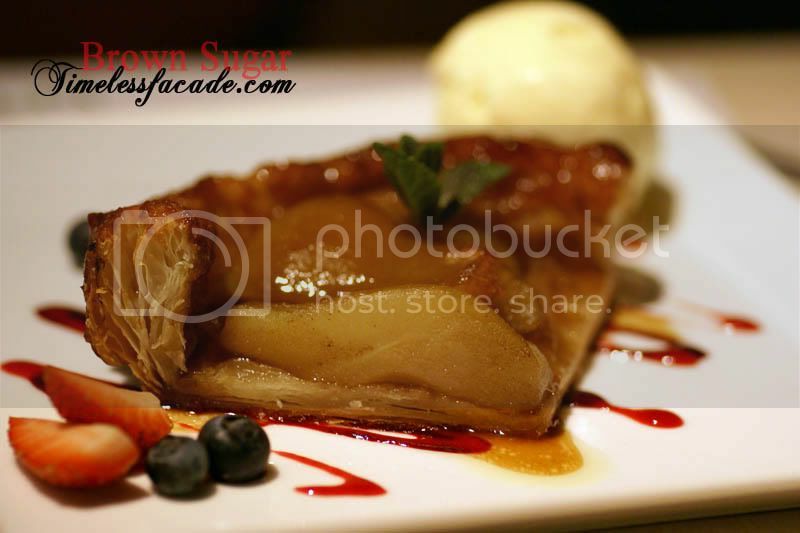 The pastry was flaky but did seem a little too hard from the hardened caramel glaze. The pears were firm and not too sweet, providing a nice crunch to the flimsy looking pastry.When paired with the honey and fig ice cream, it was truly enjoyable. Order this before hand because there is a wait time of 15 minutes. I think I'm just a sucker for chocolate cakes, especially ones with the word molten chocolate attached to them. 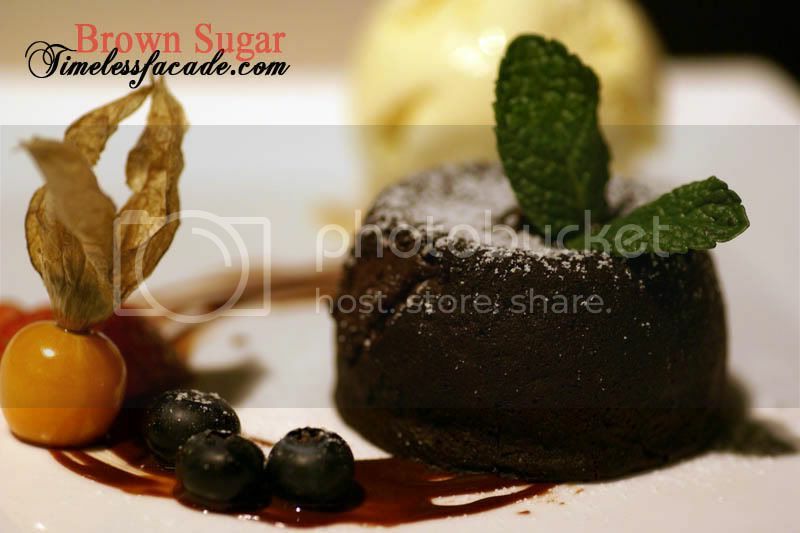 Brown Sugar's offering had a rather soft crust which I personally dislike, but the decadent molten chocolate more than made up for it. The vanilla ice cream was made from vanilla beans, not extract, as evident by the black dots on the ice cream. Together with the chocolate cake, it made for a nice and not too sweet ending. Please note that this dessert has a wait time of 15 minutes as well. 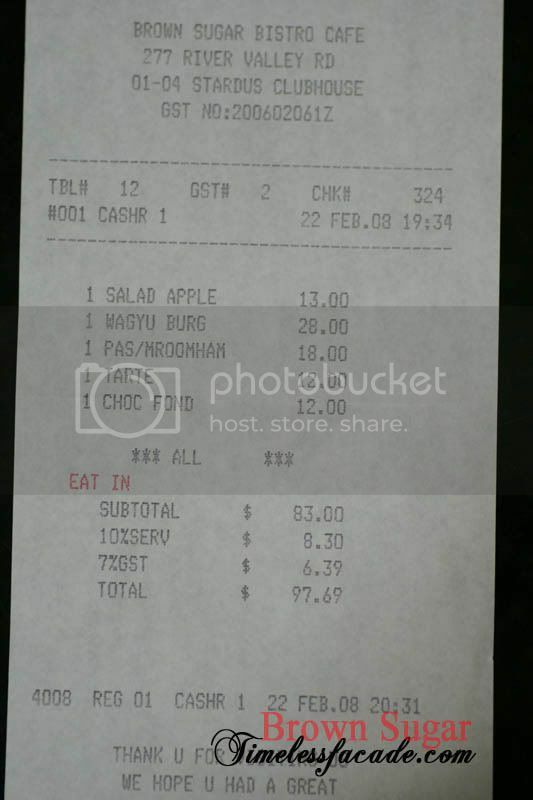 An appetiser, 2 mains and 2 desserts cost something to the tune of $98 which does seem a little high for a cafe hidden in a small government building. 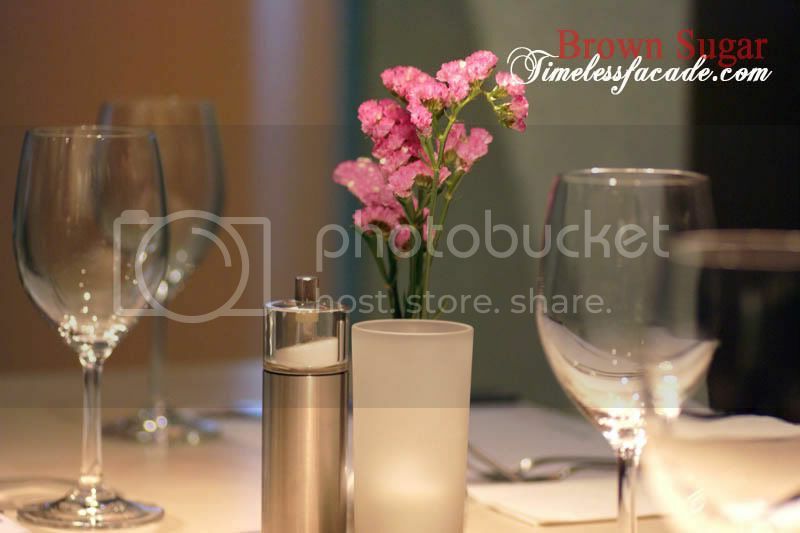 Quality of food is of a reasonably high standard and service is quite good. 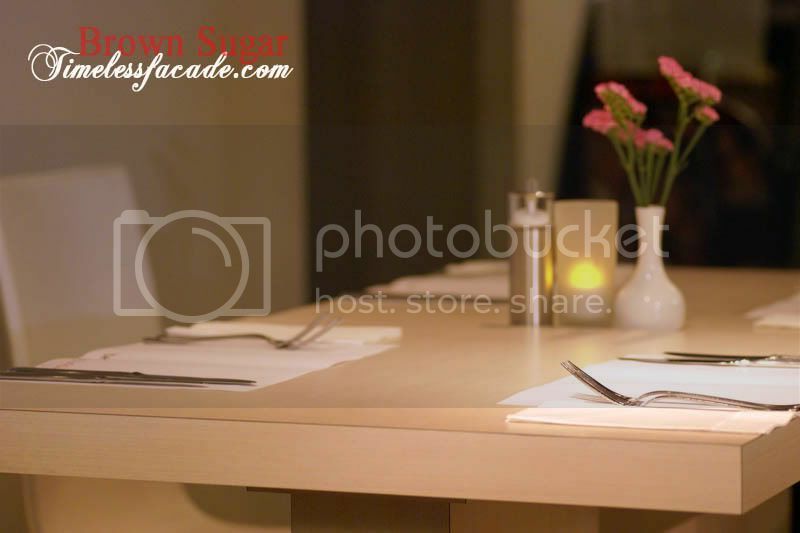 Add the nice homely environment to the mix and Brown Sugar is worth a revisit. 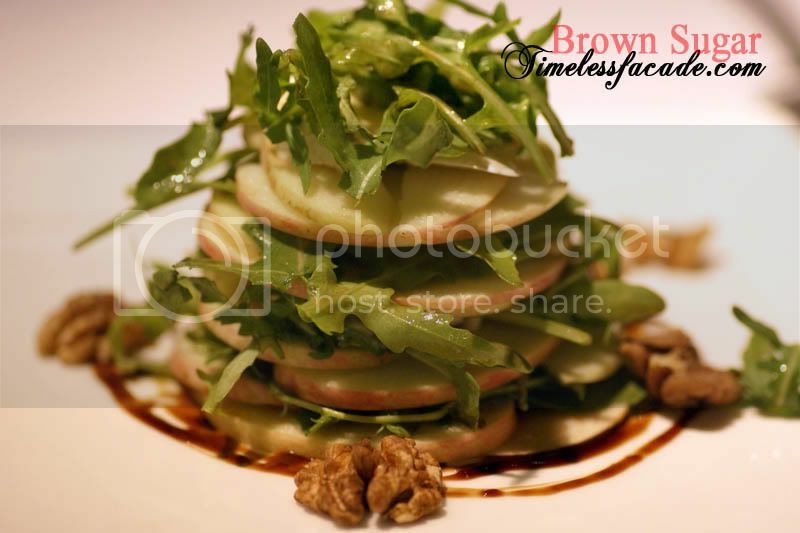 For those who wish to experience Brown Sugar for less, there is the set lunch option, at $23 for 2 courses and $27 for 3 courses. 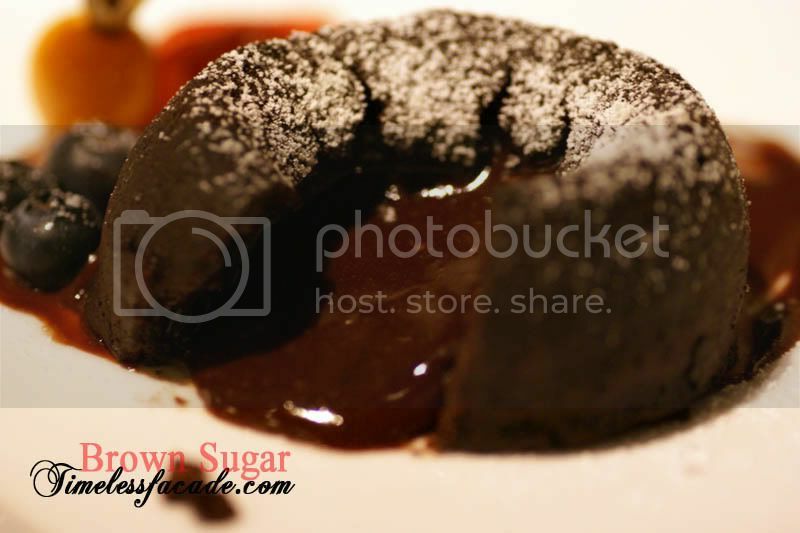 Is the chocolate in the fondant molten (thick and viscous) or runny? I haven't been able to find a place which serves a good runny one. The chocolate is viscous, not the runny kind. Runny chocolates usually tend to be rather weak maybe thats why good ones are rare. i agree that its quite a waste to use chopped wagyu. but nonetheless, i still find the burger nice and juicy. I liked the choc fondant too! You've tried Wild Rocket's version. How does it compare to this one here? The viscosity I mean, if you were to compare to Ristorante de Parma's? I think the latter's way too thick. Weak as in watered down. I honestly don't remember much about the wild rocket's one but I know Morton's one is quite viscous. Ratatouille: From what I know, the kitchen usually trimmed the sides of the meat to give it a better "look" when served. Such trimmings are usually what they used to chop up and make into beef patties. It is similar to the concept of Negi Toro served in Japanese Restaurant - no kitchen in the right mind would chopped up a decent Otoro just to wrap it into a sushi and sell you for $2.50 each. Ice, yeah I've heard of the one ninety burger. Been yearning to try it out lol. there's always a first time to anything. its my first time to chopped wagyu burger. hope there are nicer wagyu ones out there.